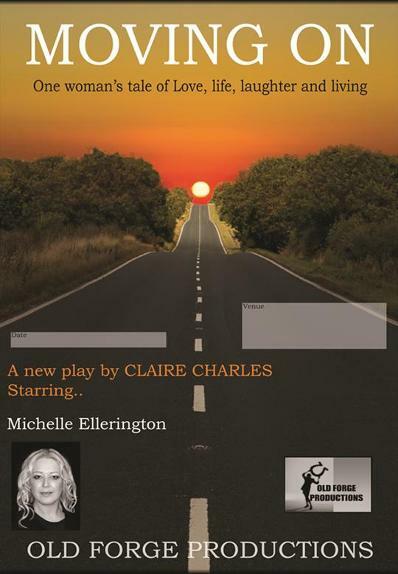 'Old Forge Productions are delighted to world premiere 'Moving On' - A new play by Claire Charles. 'Moving On’ is an insightful, heart-breakingly funny look at one woman’s tale of love, life, laughter and living. Katherine takes us on a journey of nostalgic discovery from childhood to middle age. An emotional rollercoaster that will have you sobbing in your seats, rolling in the aisles and reflecting upon the life experiences that man, and womankind encounter on a day to day basis and yet, we still survive and come back to fight another day. Quintessentially British. This one woman play stars our very own Michelle Ellerington.